Newborn Weight Gain: Is Your Baby On The Right Track? Newborn weight gain is one of the first concerns that new parents face. What’s normal, and what’s not? After all, babies tend to lose weight right after birth and parents need to work to ensure that they gain it back — at the same time they’re trying to establish good breastfeeding or bottle feeding practices — which takes time, patience, and practice. 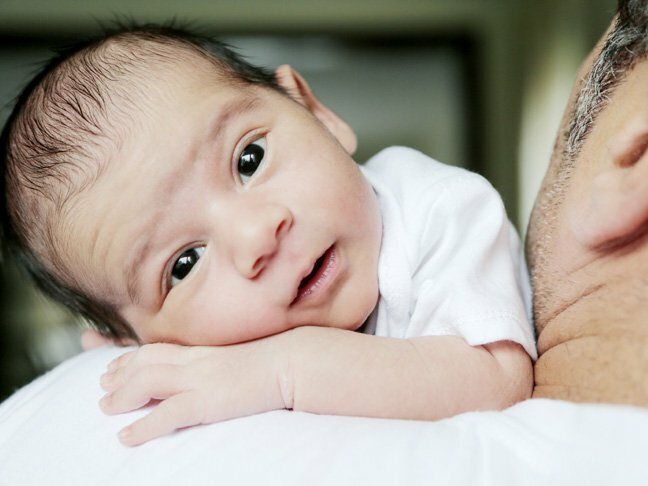 Here, we break down everything you need to know about newborn weight gain. How much weight should newborns gain? Regardless of their size at birth, most newborns follow a similar gain pattern during their first year of life. So, what’s normal newborn weight gain? Babies should double their birth weight by five or six months of age and triple the birth weight by their first birthday. During this time, however, it is normal for babies to experience short periods when they gain very little weight or even lose some weight. As long as they consistently gain weight over the year, there is usually no cause for concern. Why is my baby losing weight? Should I be concerned? It is normal for most babies to lose between 7 and 10 percent of their body weight during the first few days after birth. This is due to a loss of fluids. However, most babies will regain their birth weight within two weeks. What is the normal rate of weight gain for newborns? Newborn weight gain for the first four months of life is similar for breastfed and formula-fed babies. Babies usually gain between 5 and 7 ounces a week during these first few months. Around the sixth month, newborn weight gain slows down. During the next six months, babies usually gain between 3 and 5 ounces a week until they are about a year old. During this time, there might be some differences in rate of weight gain and growth for breasted and formula-fed babies. What should you do if you are concerned that your newborn is not gaining enough weight? If you are concerned that your newborn’s weight gain is not normal, you should consult your doctor. Often, she will recommend that you track your baby’s food intake. Another thing you can do is check the number of wet diapers your baby has in a day. Newborns should have between five and seven wet diapers and about three to five dirty diapers daily. However, formula-fed babies usually have fewer wet and dirty diapers. You’ll also want to pay attention to if the baby appears satisfied after each feeding. While newborn weight gain is a concern for many parents, it is important to remember that doctors are more concerned that babies gain weight constantly than what the scale says. Does Gripe Water Really Cure Colic?Thermometer for Fever in Children: Which Kind Is Best?